Mitsui O.S.K. 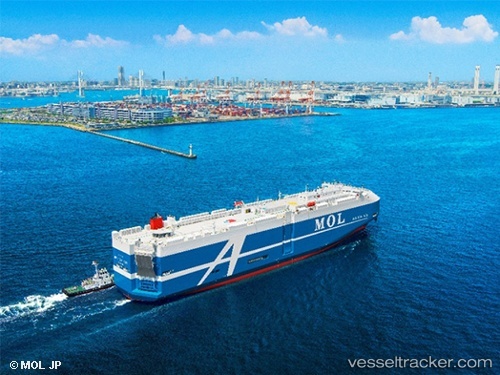 Lines, Ltd. (MOL) on Marine Day, Monday, July 16, hosted a tour of the cutting-edge car carrier Beluga Ace at Harumi Pier, in cooperation with the Japanese Shipowners' Association (JSA), the shipping company said in a press release. The company welcomed about 360 elementary and junior high school students and their family members, who were selected in an online application process. The participants boarded the huge vessel – measuring about 200m long and 50m-high –and made their first stop in the engine room, where they listened to a presentation about the equipment, and a select few got to experience the start-up of the power generator. Then, participants observed a demonstration of high-precision loading of vehicles, and moved around the ship in some of the vehicles. After a greeting from the captain on the bridge, they got to see and touch nautical instruments and binoculars. Then, with specially made maps distributed at the reception desk on hand, they freely toured some onboard facilities such as the captain's quarters, a hydroponic vegetable garden, pool, and lounge. On the pier, meanwhile, students and their parents alike enjoyed a craft workshop session where they made replicas of the ship out of paper. In addition to about 130 MOL Group executives and employees, the vessel's crewmembers took part in the event to talk about what it's like to work at sea.